The technique employed on this painting is clearly an evidence of the western influence on Persian visual arts. Firstly, It is an oil on canvas painting. Secondly, it does employ linear prospective which was uncommon in earlier Islamic paintings. 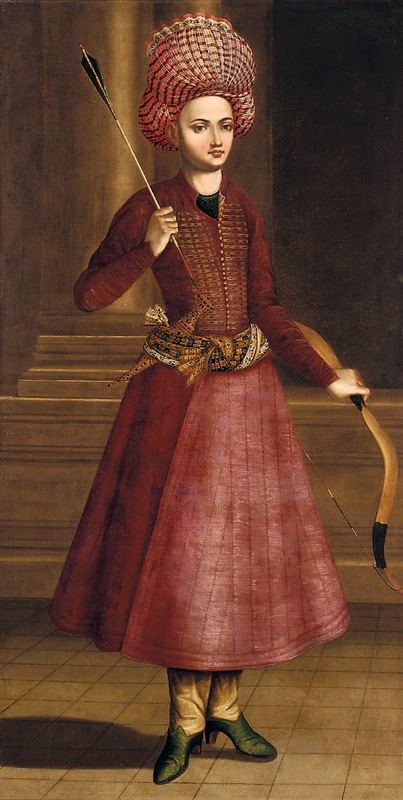 The bow, the dagger in the belt, the turban, and the green shoes suggest that the subject is a young courtier.